Greetings readers! 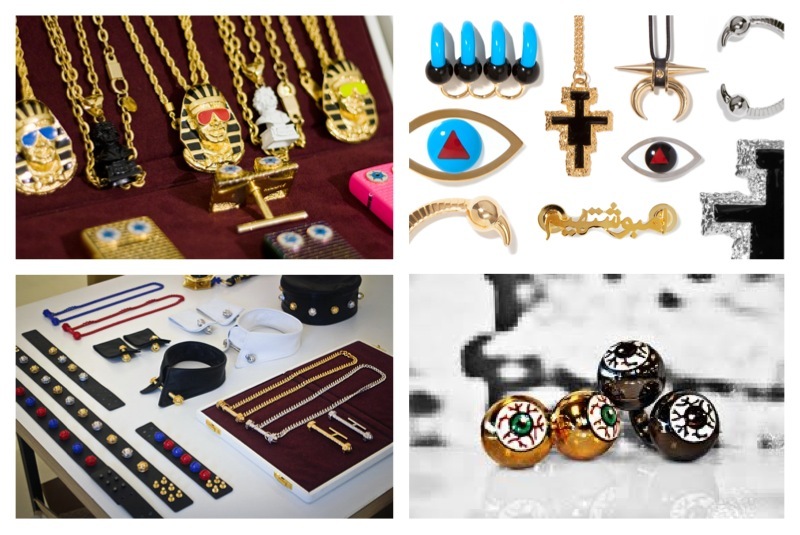 This week’s edition of “Style High” is focusing on one of the world’s most well-known high-end jewelry and accessories design collectives, the Korean power-couple out of Tokyo, Yoon and Verbal, more commonly known as AMBUSH DESIGN. Started back in 2002, AMBUSH DESIGN has grown into a high-end fashion brand worn by models and entertainers all over the world. 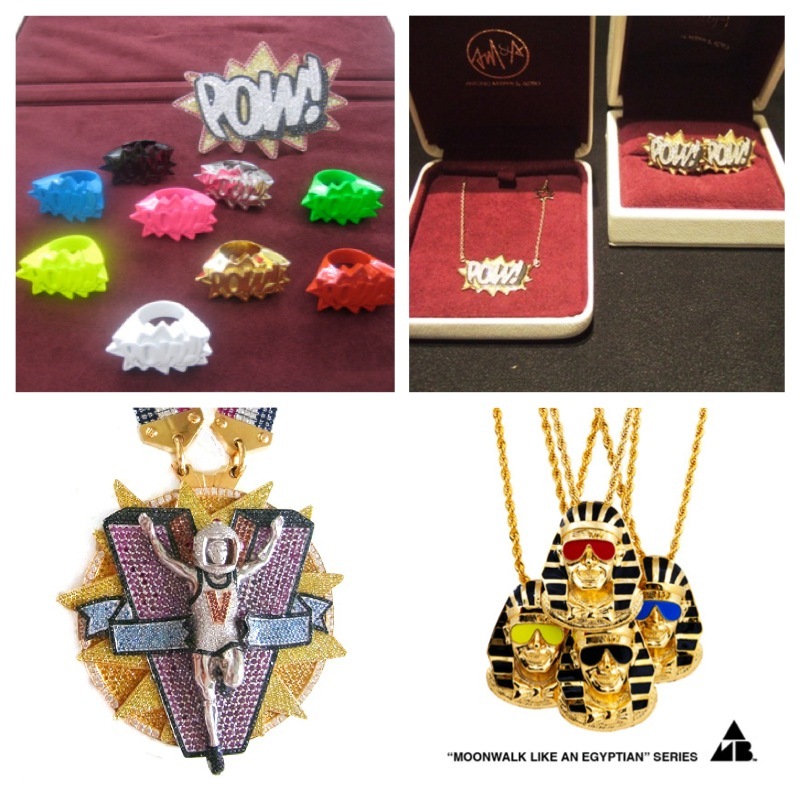 The first line out of the AMBUSH collective was the “ANTONIO MURPHY & ASTRO” collection, which featured a number of diamond-studded necklace pieces, most of which were one-of-a-kind pieces worn and designed for a certain person in mind (ex: the first ever POW! ring was designed for and by VERBAL himself). The founders of this collective are both big names in Japan now – hairstylist and DJ Yoon, and rapper/producer and fashionista VERBAL, of m-flo and Teriyaki Boyz fame. Together, this power couple created a brand like no other than gained the interest of names like Nigo, Pharrell Williams, Kanye West and even YG Entertainment. In 2008, their main AMBUSH line was unveiled, which featured their mini multicoloured POW! rings, Beethoven! pendants, and an assortment of other pieces. Currently, there are eight main lines that exists (not counting collaborations with other brands). In Korea, the most prominent wearers of AMBUSH gear are the members of the YG Entertainment family themselves. From Teddy, to 2NE1, to G-Dragon, YG has become a promoter in a sense for the brand in Korea. Probably the most well-known collaboration between YG and AMBUSH was the featuring of the “SCREW IT” collection in the music video for G-DRAGON’s hit song “CRAYON”, also featured a big piece around the BIGBANG rapper’s neck that he designed himself. Since then, the brand has gained even more attention for its unique and sometimes eccentric designs. One thing is for certain though – the pop-art/comic characteristics of this brand is what keeps people coming back for more, and this is definitely a standout brand that could grow even bigger in Korea! Check out an interview that VERBAL and YOON did on AMBUSH back in 2011 with popular urban wear and music blog Hypebeast, and check out the pictures following the video! Les bars à chats en Corée : une idée d’affaire pour le Canada?